RACE PERFORMANCE AT ITS BEST YET – THE ALL-NEW R1 V2. TAKING A COMPLETELY NEW APPROACH TO HIGH ASPECT FOIL KITE DESIGN HAS ONCE AGAIN RAISED THE STANDARD OF PERFORMANCE AND FEELING. If racing, performance and speed categorise your kiting desire, take a serious look at the R1 V2 – a brand new design that is destined to take any performance seeker or competitive kite-racer to new heights, on all surfaces and to the podium! We teamed up with the world’s top kite-racers to maximise our Research & Development programme. Each size R1 V2 has been individually designed, tested and fine-tuned to inherit the unique Ozone feeling and performance across the range. Our new Pro-Tune Speed System offers minute adjustment to keep the kite performing at its best in the correct trim. Our R&D team has longevity and performance tested the new light weight materials on the R1 V2 proving durability and dynamics. These materials have been extensively used on our Ultra Light Kites and Paragliders for the past four years. The kite must be carefully looked after, it needs an experienced rider who knows how to keep the kite up in the air and how to handle it gently on the ground. The Speed System and Bridle lines will require maintenance just like any high performance equipment in racing sports - they must be checked after every 60 hours flying time, and maintained in the correct trim or the kite will not perform as designed. Bridle Lines that are worn or not to factory specification (+ or - 15mm) must be replaced. Speed System lines that are worn must be replaced. If the Speed System lines are not worn, but are not to factory specifications (+ or - 15mm) you must adjust back to factory spec. You must watch the How To video before adjusting or replacing Speed System lines. The R1 V2 is available in a COMPLETE package, or you have the option to customise an order to suit your desire. Please speak to your dealer for more information. We have designed two all new storage bags – the Backpack and Kompressor bag. Watch the video on our website for more information explaining the differences and how to use each bag. Race Lines are available in a range of sizes from 13m-32m. 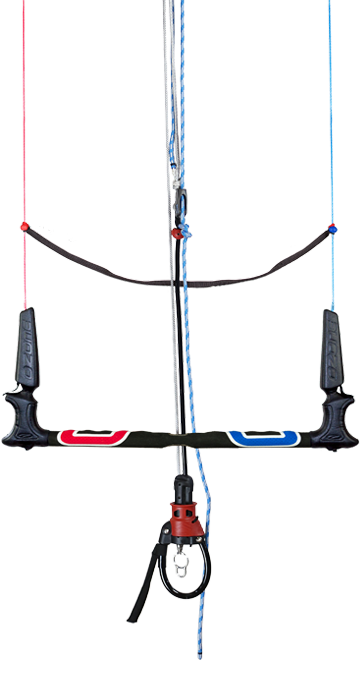 The COMPLETE package includes: Kite, Backpack, Kompressor Bag, Foil Race V2 Control System with Race Lines, Ground Stake, Manual and Repair Kit.